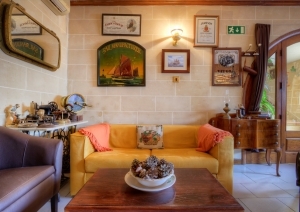 Accommodation in Malta is as diverse as the people that visit its shores. We have compiled the best that the island has to offer whether you are visiting for business or pleasure, prefer an international brand, intimate boutique or self-catering. The majority of Malta’s hotels are found in the St. Julian’s area but do not discount options in other regions. It really depends on what your tastes, interests and budgets are. Two other popular options, even with locals planning a long weekend break, are charming converted farmhouses in Gozo and contemporary villas in the north of the island.